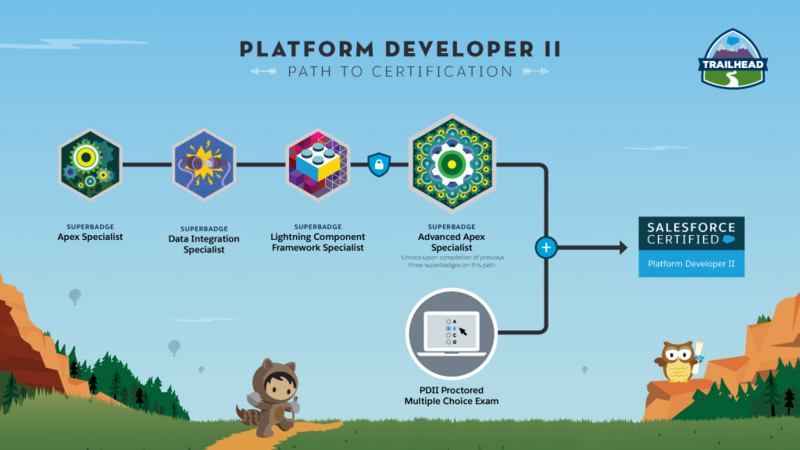 I’ve started the new certification path for the Platform Developer II as I already passed the multiple choice question a long time ago but it was ridiculously hard getting a slot on the programming assignment. With this new format, I would need to complete these four superbadges. So, 1 out 4 completed. 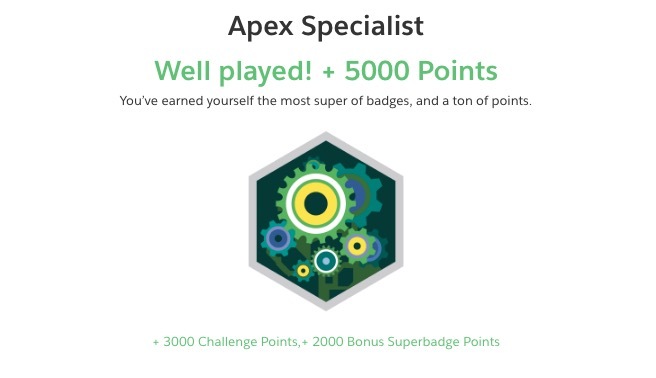 I got the Apex Specialist Superbadge nailed. For the Apex Specialist superbadge. There are a total of 6 mini challenges you need to complete. Requirements are straightforward. If you been developing on the platform for some time, the challenge should be a breeze. It took me 6 hours though to coymplete the challenge. There are many options for building the solution. Just stick with where you are most familiar with. I thought I already know all my JSON stuffs until I tried to manually parse a JSON string. Get familiar with using the JSON class methods. Check my post on Demystifiyng JSON parsing in Apex. Given another chance since the requirements are not that complicated this would’ve been a good practice to have tried test-driven development. If you need help completing the challenge hit the comments below and I’ll be glad to help. Good luck on getting that superbadge. Have you got solutions to this? Ive passed the challenge but dont think my code is very good or completely correct.